In February I visited Liverpool and I love visiting the UK. It was my first time properly visiting Liverpool, because my previous visits were all football related (surprise, surprise). I thought Liverpool was an incredible city to visit and so I compiled a small list of things I’ve learnt about Liverpool. Please not that I’m not British, so some things might be a bit weird to you. I arrived in the UK at Manchester Airport, because it was cheaper for me. I saved over 80,-! Now I needed to get to Liverpool and I booked a seat at National Express, I was so surprised. We don’t really have those kind of services, back here in the Netherlands and it was such a good experience. I felt pretty comfortable. You were probably waiting for me talk about football, weren’t you? Of course Liverpool and Everton are the biggest teams in Merseyside, but if you want semi-professional nonleague football, you are in the right place too! There’s Tranmere Rover and Southport in the National League (5th tier), Marine and Prescot Cables in the Northern Premier League Premier Division (7th tier) and Northern Premier League Division One North (8th tier). It’s brilliant! If you can visit a nonleague club in your life, it will open your eyes. After an intense football match on the Saturday, we went for a bit of typical sightseeing. After walking past very modern stores and shops, we got to the Albert Dock and it is profoundly beautiful. Now I know there are many views on what beauty is, but it was so calming and so rich of culture. I love how Liverpool has progressed over the years, but still have eye for the history of their city. It made me feel very comfortable and very excited to be honest. It was great to feel the wind in your face and feel the sunshine, made me feel alive. I love a good pub and Liverpool’s got loads. There is nothing better than go the pub after a nice walk and go in for food and a drink. The atmosphere of a British pub is something you can’t describe. It’s something so typical and great, I’m smiling as I’m writing this. Love being in pubs, hearing the different voices and seeing different football and rugby matches. I think I’ve visited over 30 pubs and it made my life so much better. Life is great. When you are traveling to another country and you are the one that speaks English the best, you are bound to be called ‘The Translator’ and that’s exactly what happened with me. Now I love a good accent and the Scouse accent is one of purest out there. I love being surrounded with people speaking freely and being passionate about their region. The accents really do give me a good feeling. 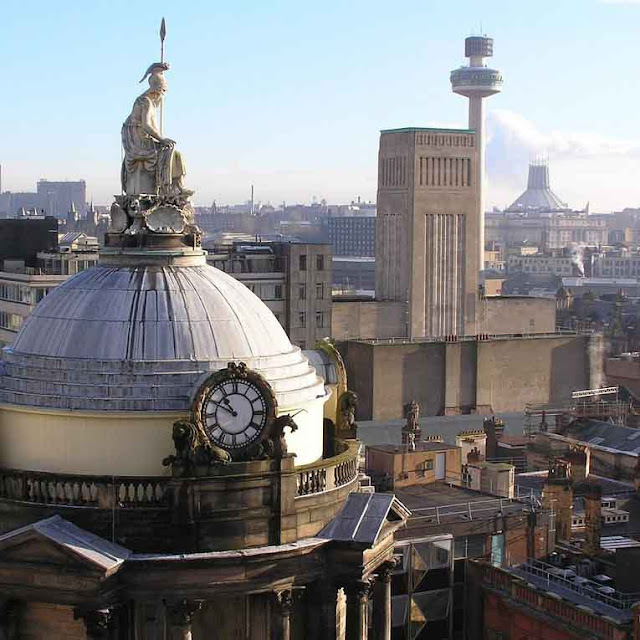 Have you ever visited Liverpool? What did you like the most about Liverpool? Let us know!